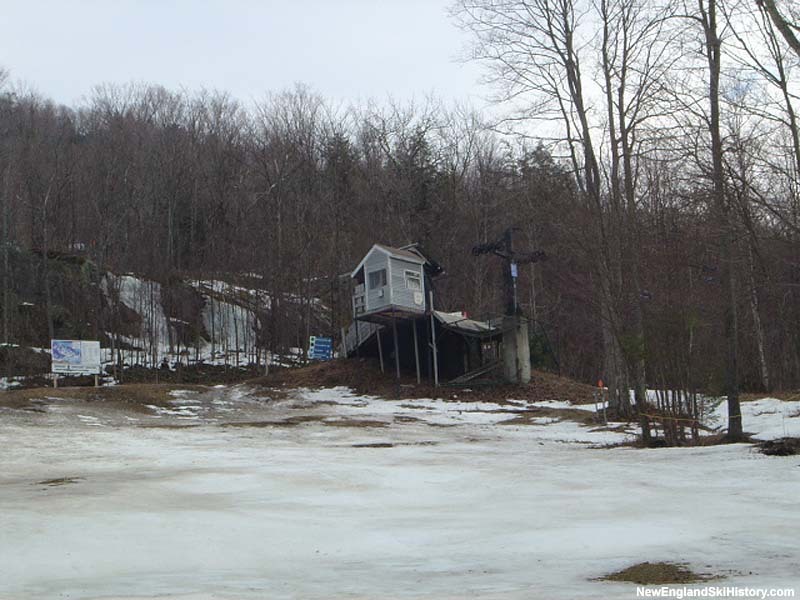 While Ascutney had technically entered the chairlift age at the start of the 1960s, it lacked a dedicated novice-intermediate chairlift served complex. 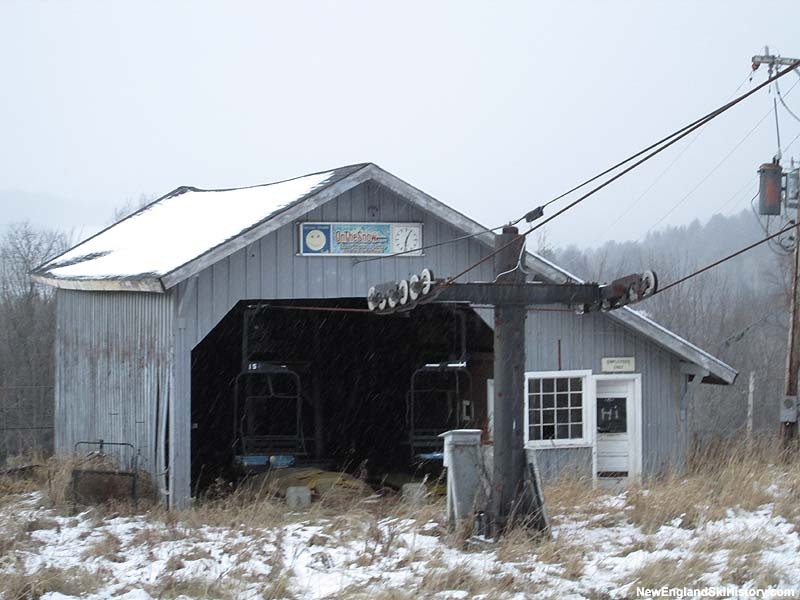 For the 1970-71 season, a new Hall double chairlift was installed on the east side of the ski area, near where a novice T-Bar had one been located. The 1,947 foot long, 434 foot vertical lift provided access to existing terrain, reducing crowds on the summit lift (which had a mid station previously serving the area). 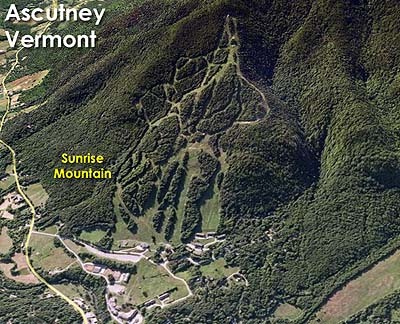 The New York Times billed the Sunrise Mountain expansion as being a "much-needed addition at this area." 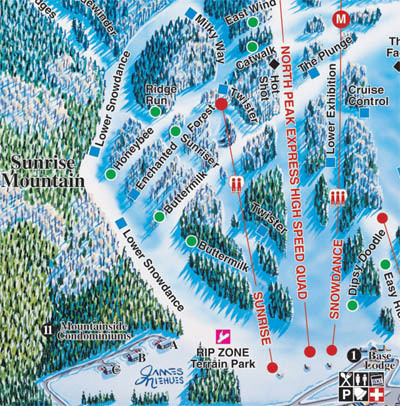 The Sunrise Mountain area was nearly changed in a mid-1990s expansion proposal, in which the Summit Triple would have been relocated adjacent to the Sunrise Double, climbing up to the Gotcha Trail to provide better service to intermediate terrain above Sunrise. This proposal was later abandoned in favor of the North Peak expansion.